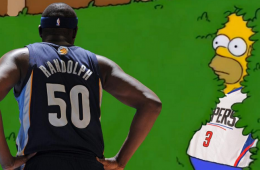 Still one of the most athletic players in the 'L' 19 seasons later. 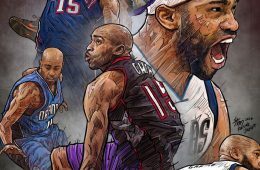 "Vinsanity", "Air Canada", and "Half-Man, Half-Amazing". 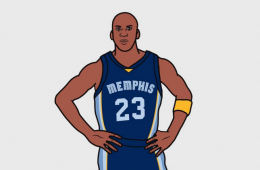 The battle for Gloria Govan continues. 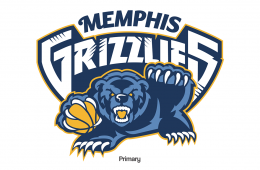 Artist Alejandro Areces from Florida gave the Memphis Grizzlies a refreshed look with this concept piece. 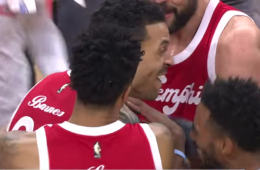 Matt Barnes launched a prayer from half-court that was answered with just 1.1 seconds left in the game. 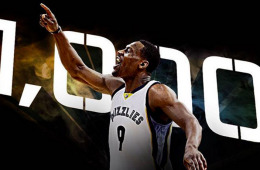 Jeff Green converted a game-winning alley-oop with just 0.8 seconds left, thanks to a perfect inbound lob from Courtney Lee for a dramatic Grizzlies win. 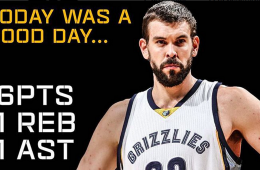 Memphis Grizzlies big man Marc Gasol got his first career triple-double racking up 16 points, 11 rebounds, 11 assists, and four steals for good measure. 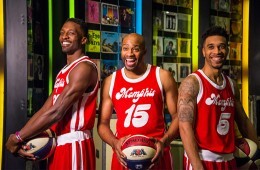 Memphis Grizzlies will debut their throwback Memphis Sounds uniforms in the first of five Hardwood Classics Nights at FedExForum and three road games. 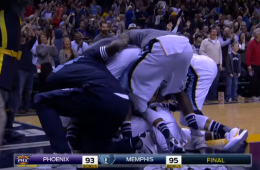 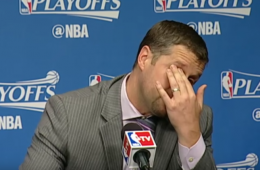 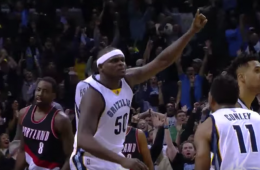 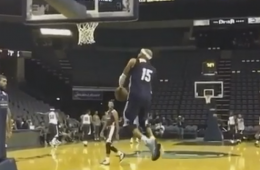 In true GnG style, Zach Randolph helped the Memphis Grizzlies grind out a win with just a few seconds left in the 4th. 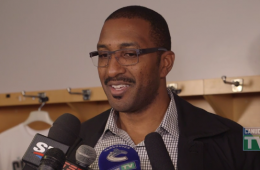 One of the original Grizzlies from the expansion days Shareef Abdur-Rahim was in Vancouver to celebrate "Grizzlies Night" at a hockey game.